The model train club Eisenbahnfreunde Bietigheim-Bissingen occupies a small historic building in Kammgarnspinnerei, a neighborhood in Bietigheim-Bissingen. 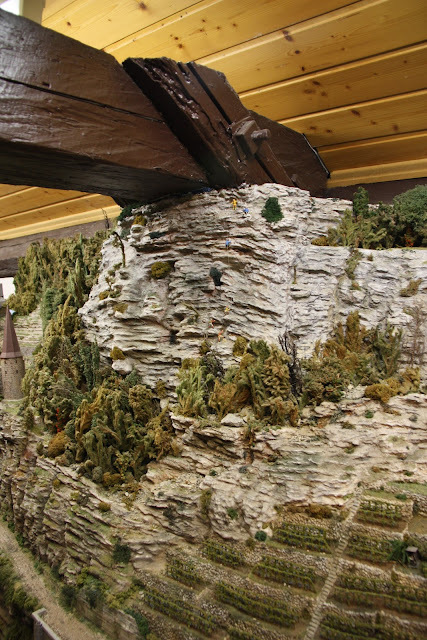 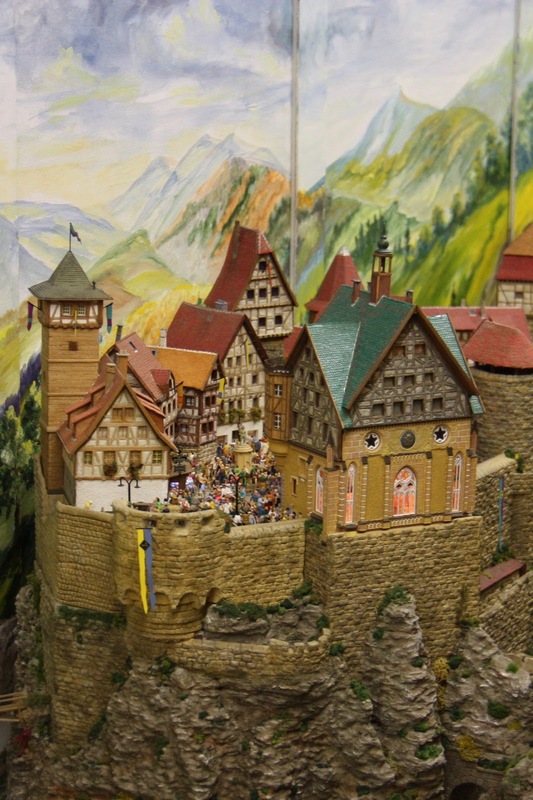 The club layout is lovingly built out with lots of details and complex scenery. 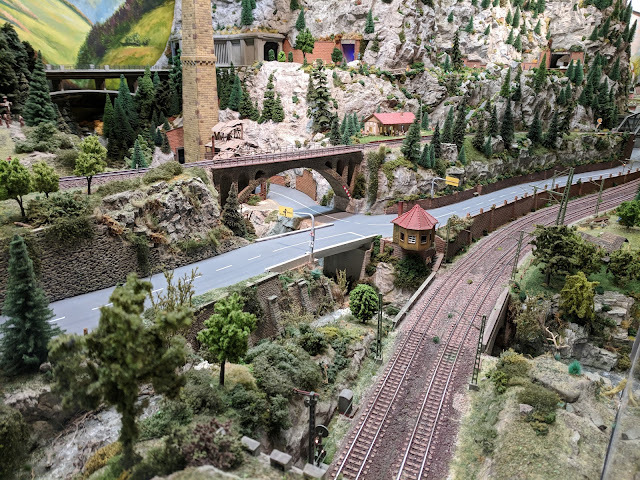 The track plan is basically a major station on a double-track main line with a branch line on one side and a narrow gauge line on the other side. 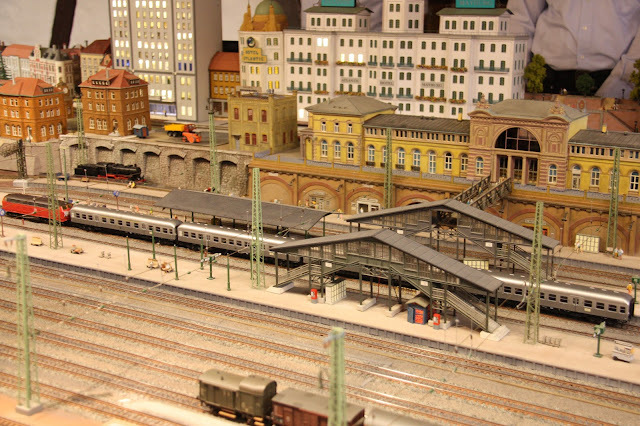 The main station in Mayburg is generously laid out with a nice cityscape hiding the control panels. 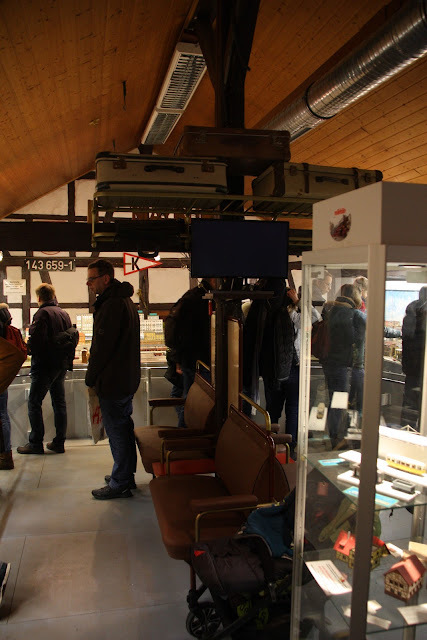 This photo gives a great impression of the wonderful atmosphere in the building. 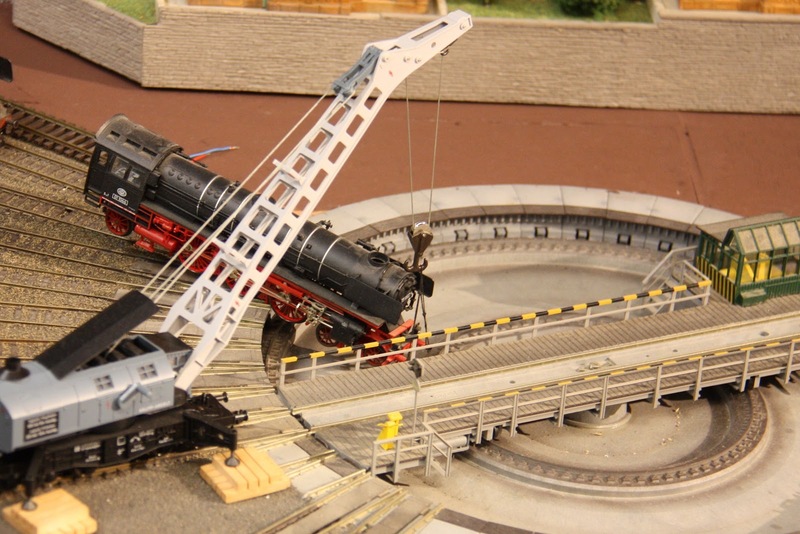 EFBB has built a scene depicting the famous turntable drop of UEF 01 1066 in Kornwestheim. 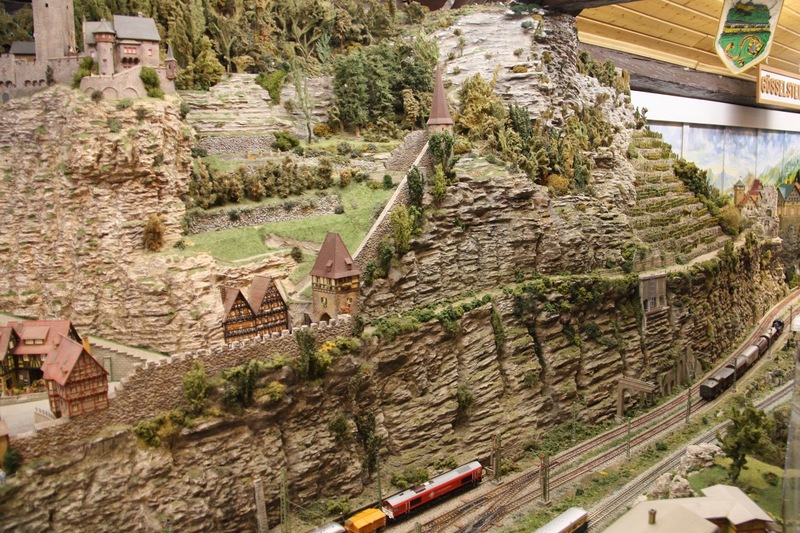 On the other leg of the layout is nicely arranged dramatic scenery. The center of the room is equipped with seats in style of a train compartment. 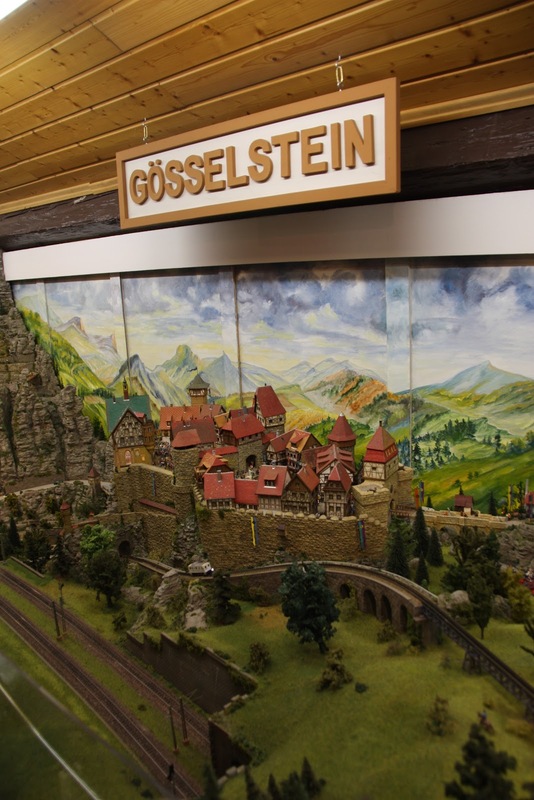 The medieval town of Goesselstein has a well-visited marketplace in a historic atmosphere. 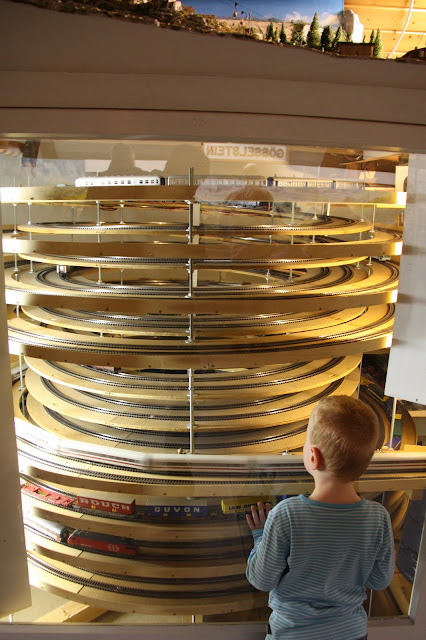 The traffic inside the double helix to and from staging is fascinating to watch. 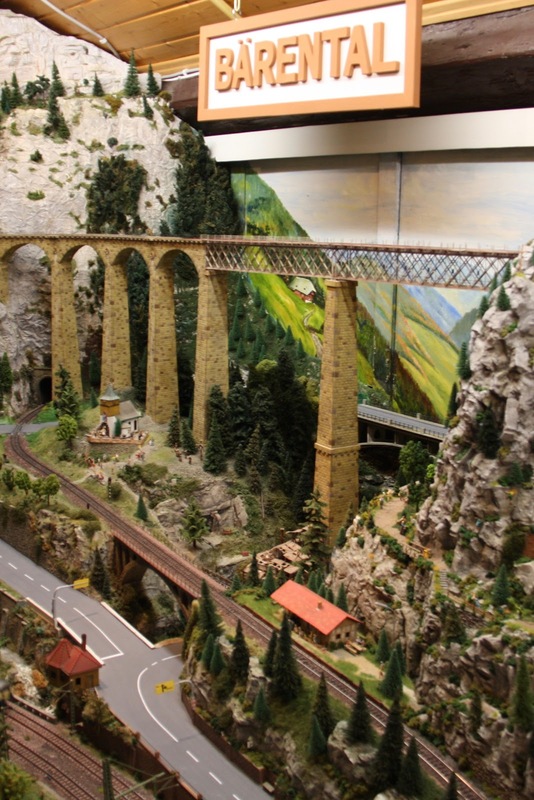 There was a flea market for model train articles -- admittedly, that's why I was here today in the first place -- so the place was packed, and I only realized when I was back home, that I didn't take any photos of the under construction layout of the club's youth group. 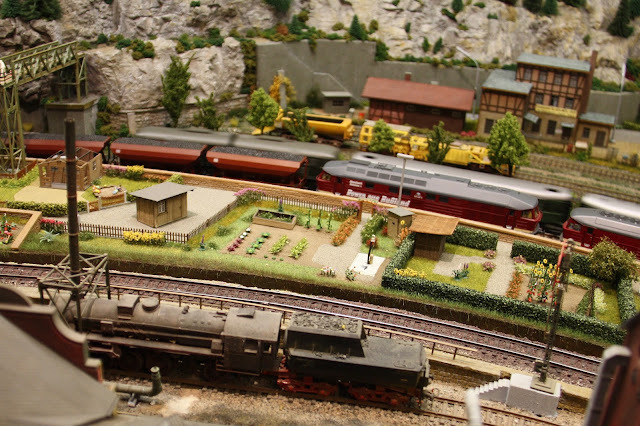 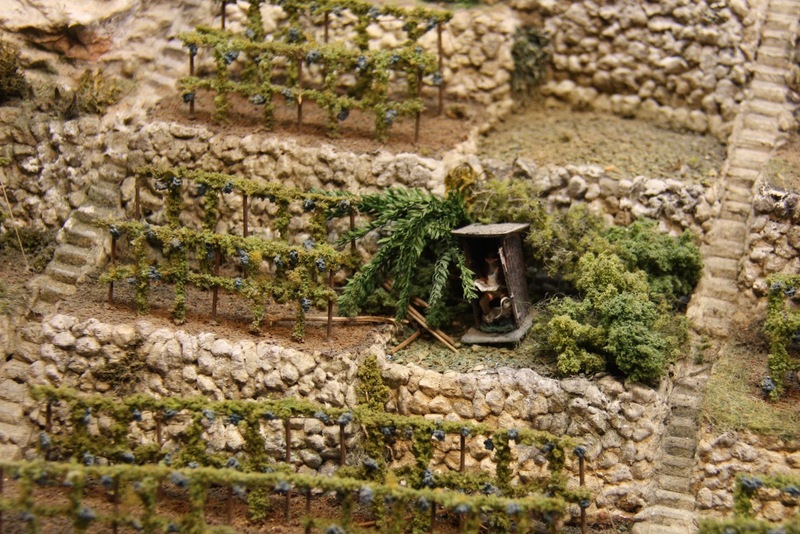 A very promising layout, with interesting opportunities for operations and scenery.